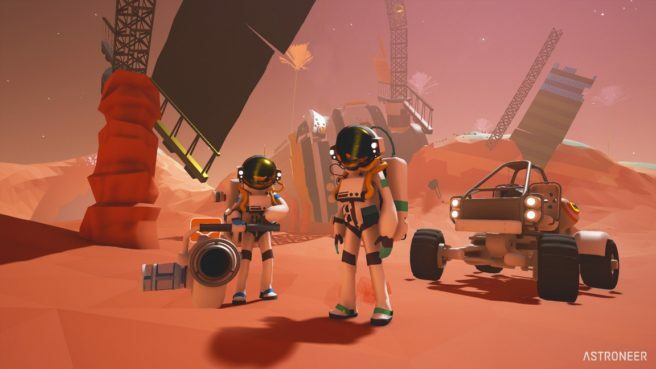 If a new rating is anything to go by, Astroneer will be coming to Switch. The game was classified for Nintendo’s console in Brazil earlier this week. – Reshape terrain as though it were made of Play-Doh. – Survive on and explore procedurally generated planets that can be entirely deformed and traversed. – Build vehicles and travel to new planets and moons. – Snap together components and objects to create custom vehicles and modules. – 4 player online drop-in/drop-out co-op. If an official announcement for Astroneer is made – which would come from Gearbox Publishing – we’ll let you know.